The olive quick decline syndrome (OQDS) is a disease that appeared suddenly a few years ago in the province of Lecce (Salento peninsula, southeastern Italy). 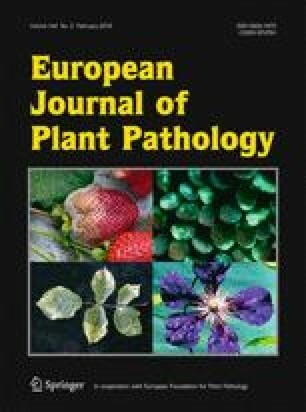 Among the factors that may be involved in its aetiology, the most relevant is Xylella fastidiosa, a quarantine pathogen of American origin, whose presence in Italy represents its first confirmed record in the European Union. X. fastidiosa is a Gram-negative bacterium that invades the xylem of a wide range of hosts, from which it is acquired by xylem-feeding insect vectors and transferred to other plants. The bacterium multiplies within the plant vessels and occludes them, thus impairing water uptake. Besides olive, the Salentian strain of X. fastidiosa infects in nature a number of woody (almond, cherry) and shrubby (oleander, broom, Acacia saligna, Polygala myrtifolia, Westringia fruticosa, Rosmarinus officinalis, Rhamnus elaternus, Myrtus communis) hosts, with no evidence for grapevines or citrus being hosts. The bacterium was isolated in culture and identified as a genotype of X. fastidiosa subsp. pauca, molecularly identical to an isolate from Costa Rica. Philaenus spumarius (meadow spittlebug), a froghopper quite common in the Salento area where it thrives on olive, was identified as the main vector. Disease eradication and sanitation of infected olives are unfeasible. However, strategies are being enacted for restraining the spread of pathogen and vector(s) within the boundaries of the currently infected zone. This work was supported by grant from the Regional Plant Health Service of Apulia.